Still fresh in memory is the Rana Plaza factory collapse in April that killed 1,129 Bangladeshi workers. Unfortunately, this disaster wasn’t the first instance of neglect and disregard for worker safety. As unthinkable conditions have persisted in garment factories over the years, the U.S. Department of Labor is finally stepping up. 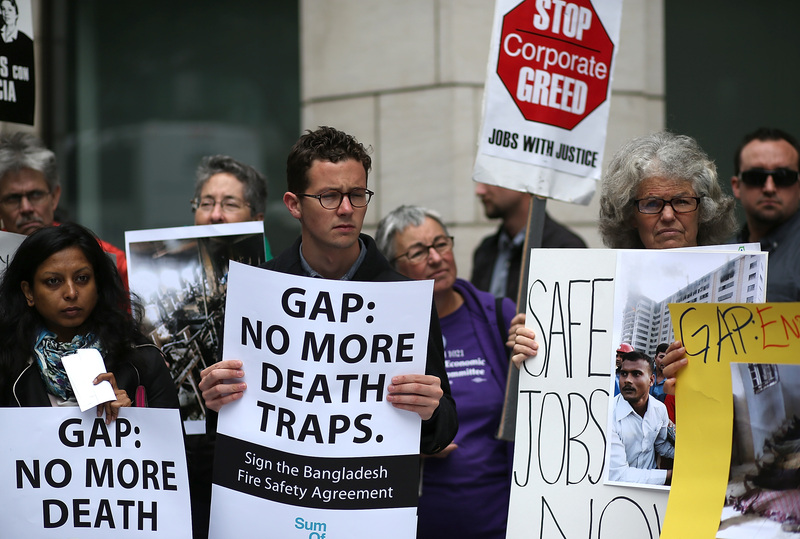 Although a safety pact was formed last month among retailers like Calvin Klein, Tommy Hilfiger, H&M, and Inditex (Zara’s parent company), who all produce clothing in Bangladesh, some retailers, namely American company Sears, have refused to sign. Fortunately, government funds will bring further reformation to the devastating factory conditions, pact aside. On Thursday, WWD reported that the Department of Labor offered a $2.5 million grant to fund one or two recipients in Bangladesh who will work to improve the government’s enforcement of building standards and fire safety as it works to monitor conditions. Applications for the grants will be accepted through August 2. Thumbing through the articles of inexpensive clothing in the weeks following the building collapse brought a sick feeling to my stomach. As tempting as inexpensive fast fashion is, I can't get past the conditions facing those who work in the factories producing these items. I didn't buy then, and it wasn't until after Inditex signed the pact that I could stomach even considering a Zara purchase. As harrowing as it is, these factories are how many of the people of Bangladesh earn a living, and to boycott their product would devastate their economy further. These pacts and grants are the right first steps in an arduous process to improve conditions and improve lives.